Trissy Laundry Zone is a family run launderette based in Scholes Precinct, Wigan (formerly Wigan Laundry Co) and offers a range of professional laundry, dry cleaning and ironing services to suit your needs and budget. 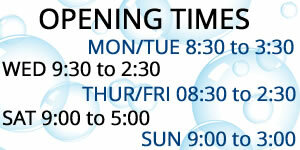 Need a suit, shirts or dress dry cleaning in Wigan? Look no further than Trissy Laundry Zone. 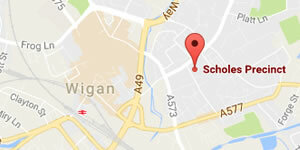 As a local dry cleaning agent we offer professional and affordable dry cleaning in Wigan and surrounding areas. If you've been on holiday, have a massive ironing pile or are just fed up of ironing why not let us do it for you? 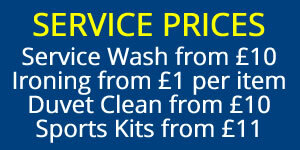 Our ironing service in Wigan is fast and affordable so call Trissy Laundry Zone today on 01942 745946.